The evolution of five approaches to rodent management. When I was a young technician, our rodent control program consisted of applying rodenticide indoors and on the exterior. We expected a good kill and the inevitable odor that comes with the dead rodent. This, of course, was followed by the presence of blow flies (Calliphoridae). We went from quick killer rodenticide to anticoagulants to a single-feeding anticoagulant to a new mode of action rodenticide.On the bait side, we went from toss packs (which still have their uses) to placing in open “pitter platters” (trays) to wooden bait stations to plastic ones. Then on to locked stations, tamper-resistant, anchored bait stations to anchoring the bait within the bait stations. Placements went from indoors, to indoors in locked areas only, to exterior only (three rows deep) to fewer bait stations and less rodent bait.Then came the concept of monitoring blocks made from grain, and then new monitors made of synthetic material. Now, steel bait stations have arrived on the scene. Why have there been so many changes on this front? Primarily to provide greater safety for children, pets, indoor environments and non-target animals on the exterior. We continue to become more aware of our environment, and more sensitive to what we use and how we use it. The old wooden snap trap now is made of wood from sustainable forests. The trigger is expanded and can be set for sensitivity.Multiple traps now play a role in rodent management. We used to catch the rodent and then throw the carcass and trap away. Today we record when, what, where and how many are captured. The data is analyzed to determine our next step. We also look for seasonal trends so we can plan where and when to step up the placement of traps and monitors. Sticky traps have been around for more than 75 years, but big steps were made when canned sticky traps became available. Shortly after that, glue on paper and in plastic trays emerged. Today, there are a plethora of companies and styles available. Some are for hot areas and some are for cold areas. Some are for large rats and some for small mice.Be careful where you place them and how long you leave them. They can become dusty and harbor dead rodents in addition to catching lizards and small dogs. This can become a problem without vigilant monitoring. Historically, this is something you read about in training literature, despite how rarely it’s actually practiced in the industry. It’s a job usually left to the customer, and then we’d grumble about how it never got done.That’s beginning to change, however, because we’re starting to see it as being both effective and profitable. Materials are available to protect trees, entire parks, pipe penetration areas, garbage dumpsters, dock doors and main exit doors.If you’re not doing this type of work already, it’s time to start. 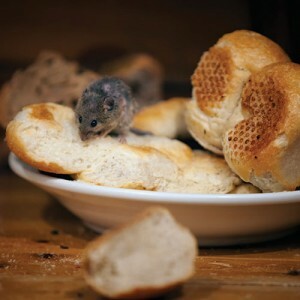 Some companies have teams of rodent proofers who do the work in high-rise apartments and office buildings, food plants and residential homes. This technique is critical for suppressing rodent populations. Sometimes it’s done by mechanical means; other times with herbicide. Sometimes the perimeter is altered so no vegetation can grow in critical areas.